a b s t r a c t The phenolic profiles of extra virgin olive oils (EVOOs) may influence their cardiovascular benefits. In a randomized crossover of acute EVOO intake on platelet function, participants (n = 9) consumed 40 mL of EVOO weekly. EVOOs were matched for total phenolic content and were either tyrosol-poor with 1:2 oleacein/oleocanthal (D2i0.5), or 2:1 oleacein/oleocanthal (D2i2), or predominantly tyrosol (D2i0). Ibuprofen provided a platelet inhibition control. Blood was collected pre- and 2 h post-EVOO intake. D2i0.5 and D2i2 reduced 1 mg/mL collagen-stimulated maximum platelet aggregation (Pmax), with effects best correlated to oleocanthal intake (R = 0.56, P = 0.002). Total phenolic intake was independently correlated to eicosanoid production inhibition, suggesting that cyclooxygenase blockade was not responsible for the Pmax inhibition. Five participants exhibited >25% DPmax declines with D2i0.5 and D2i2 intake and plasma metabolomic profiles discriminated subjects by oil responsivity. Platelet responses to acute EVOO intake are associated with oil phenolic composition and may be influenced by diet. Published by Elsevier Ltd.
1. Introduction Abbreviations: AA, arachidonic acid; ADP, adenosine diphosphate; AICc, corrected Akaike Information Criterion; BIC, Bayesian Information Criterion; COX, cyclooxygenase; D1i, sum of an extra virgin olive oil’s oleocanthal and oleacein concentrations; D2i, oleocanthal/oleacein ratio for an extra virgin olive oil; D2i0, extra virgin olive oil with undetectable oleocanthal and oleacein; D2i0.5, extra virgin olive oil with 1:2 oleacein/oleocanthal; D2i2, extra virgin olive oil with 2:1 oleacein/oleocanthal; DAD, diode array detector; EVOO, extra virgin olive oil; HETE, hydroxyeicosatetraenoic acid; LOX, lipoxygenase; PG, prostaglandin; PLS-DA, partial least squares-discriminant analysis; Pmax, maximum platelet aggregation; qNMR, quantitative 1H nuclear magnetic resonance spectroscopy; TXB2, thromboxane B2; UPLC, ultra-performance liquid chromatography; D[COX + LOX], changes in sum of cyclooxygenase- and lipoxygenase-derived lipid mediators. ⇑ Corresponding author at: 430 W Health Sciences Drive, Davis, CA 95616, USA. E-mail addresses: [email protected] (K. Agrawal), [email protected] (E. Melliou), [email protected] (X. Li), [email protected] (T.L. Pedersen), [email protected] (S.C. Wang), [email protected] (P. Magiatis), [email protected] (J.W. Newman), [email protected] (R.R. Holt). 1 Present Address: Advanced Analytics, 118 First Street, Woodland, CA 95695, USA. http://dx.doi.org/10.1016/j.jff.2017.06.046 1756-4646/Published by Elsevier Ltd. Recent dietary guidelines have moved towards promoting healthy dietary patterns that encourage the intake of a synergy of nutrients for the prevention of chronic disease (Mozaffarian, 2016). While the potential benefit of dietary patterns such as a Mediterranean diet are suggested from epidemiological observations and large controlled dietary interventions (Estruch et al., 2013; Mozaffarian, 2016), adaptation of these results to recommendations for diverse population groups can have several challenges, which include assessing the role of diet coupled to genetic variation and environmental influences. Further refinement of dietary recommendations is also complicated by the knowledge that varietal differences, as well as agricultural and manufacturing practices can affect the final nutrient content of the food product of interest (Mozaffarian, 2016). each containing an equivalent total phenolic content, on platelet reactivity in healthy adults. We hypothesize that the intake of oleocanthal-rich EVOO will reduce platelet aggregation to a greater extent than olive oils containing a lesser amount of oleocanthal, and that these effects will be related to changes in COXdependent oxygenated lipids but not the 5-LOX-dependent or auto-oxidative polyunsaturated fatty acid metabolites. 2. Materials and methods 2.1. Study design A double-blind, randomized controlled crossover study tested the acute effects of ingesting three unique EVOOs on platelet aggregation. Randomization was performed following a plan formulated via a random number generator and all participants were randomized in one block. All EVOO were provided in coded bottles of similar size, shape and color. Therefore, the investigators responsible for the conduct of the intervention trial and the study participants were blinded as to the specific EVOO provided for any given study day. This study was conducted according to the guidelines laid down in the Declaration of Helsinki and all procedures involving human subjects were approved by the institutional review board of the University of California, Davis. Written informed consent was obtained from all subjects before inclusion in the study. This study is also registered with ClinicalTrials.gov as NCT02902913. Participants were asked to participate in four study days, separated by at least one week (7.4 ± 1.6 days; one of 27 subject visits involving EVOO consumption occurred 14 days after the proceeding visit), at the University of California Davis, Department of Nutrition, Ragle Human Nutrition Center. For the first three study visits, the volunteers were asked to consume 40 mL of their assigned EVOO within 5 min. On the fourth and final study visit, participants consumed one 400 mg dose of ibuprofen by mouth. Participants were asked to refrain from taking drugs that are known or may affect platelet function (e.g. acetaminophen, aspirin and non-steroidal anti-inflammatory drugs) or consuming olive oil for at least one week prior to their first study day visit, and throughout the study period. Subjects were also asked to refrain from consumption of foods previously described to affect platelet function for at least 24 h prior to each study visit. A list of these foods was provided to the subjects during recruitment, and included phenolic- and polyphenol-rich foods, such as, cocoa products, coffee, tea, wine, other grape products and other colorful fruits and vegetables (Holt, Heiss, Kelm, & Keen, 2012; Miller, Rice, Garrett, & Stein, 2014). Dietary compliance was confirmed via questioning of the individual participants upon their arrival to the facility. Prior to each study day, volunteers were asked to participate in an overnight fast (no food or water 12 h prior to their scheduled visit). See Fig. A.1 for a diagrammatic representation of the study design. lifestyle intervention; any self-reported bleeding or coagulation disorder. 2.3. Olive oil selection and characterization Olives (Olea europaea L.) harvested between November 2014 and January 2015 were used to generate EVOOs discussed in this study. In preparation for this study, 300 commercial samples were screened from Greece and California for chemical composition analysis. Oils were first selected to include extra virgin grades with similar total phenolic content as determined by the Folin-Ciocalteu method (Garcia, Coelho, Costa, Pinto, & Paiva-Martins, 2013), similar lipid profiles (International Olive Oil Council, 2001), and similar peroxide values (AOAC International, 2013). The subset of oils meeting these criteria underwent complete phenolic characterization, with final selection of test oils based on their specific phenolic profile using a recently proposed EVOO bioactive phenolic index (Karkoula, Skantzari, Melliou, & Magiatis, 2012). This ‘‘D” index (D = University of California, Davis) provides the sum of oleocanthal and oleacein (D1 index, D1i), and the oleacein/oleocanthal ratio (D2 index, D2i). The D2 index was inconsistently defined by Karkoula et al. in their original report (Karkoula et al., 2012), but was calculated correctly in the manuscript and has been consistently defined since (Karkoula, Skantzari, Melliou, & Magiatis, 2014). Characteristics of the test oils are shown in Table 1. While all three test oils had a similar total phenolic content, two of the test oils were similar in their D1i, but inversed in the D2i, with both oils containing trace or no detectable levels of other secoiridoid conjugated phenolics. The third oil was chosen as a control and had D1i of zero. All oils were stored at 4 °C immediately after their analysis and during the study period to minimize possible alterations in chemical composition. Rios, & Gomez-Rey, 2003). The pre-weighed oil sample (2.5 ± 0.001 g) and 0.5 mL of an internal standard solution consisting of 67.5 mg/mL p-hydroxyphenyl-acetic acid (Sigma Aldrich, St Louis, MO) was dissolved in 6 mL of hexane. A 1 g-6 mL diolbonded phase cartridge (Thermo Scientific, Waltham, MA, USA) was conditioned with 6 mL of methanol and 6 mL of hexane consecutively, by vacuum elution. Cartridges were then loaded with oil, washed twice with 6 mL of hexane, once with 6 mL of hexane/ethyl acetate (90:10, v/v), and eluted with 10 mL of methanol. The eluent was reduced to dryness by rotatory evaporation at room temperature and the residue was reconstituted in 1 mL of methanol/water (1:1, v/v). The UPLC-DAD protocol was adapted from a previously published method (Daskalaki, Kefi, Kotsiou, & Tasioula-Margari, 2009). A 20 mL aliquot of the extract was injected onto a 4.6  250 mm, 5 mm C18 column (Agilent Technologies, Santa Clara, CA, USA) and separated by gradient elution at a flow rate of 1 mL/min using mobile phases of 98:2, water/acetic acid (v/v) (Solvent A) and 1:1, methanol/acetonitrile (v/v) (Solvent B). The mobile phase gradient was as follows: 0 min - 5% B; 25 min 30% B; 50 min - 35% B; 65 min - 70% B; 70 min - 100% B; 5 min re-equilibration. Absorbance was recorded at 280 nm and 340 nm. Analytes were quantified by relative response to the internal standard. 2.6. Blood collection Blood was collected at 0 and 2 h after test product ingestion Ò from an antecubital vein in Vacutainer tubes (Beckton Dickinson, Franklin Lakes, NJ, USA) containing sodium citrate for platelet aggregometry and post-stimulation oxylipin analysis or potassium EDTA for metabolomics analysis. All collection procedures were performed between 08:00 and 13:00 to avoid circadian effects. Abbreviations: AFLA, Aldehydic Form of Ligstroside Aglycone; AFOA, Aldehydic Form of Oleuropein Aglycone; D1 Index, oleocanthal + oleacein; D2 Index, oleocanthal/ oleacein ratio; D2i0, undetectable oleocanthal and oleacein; D2i0.5, 1:2 oleacein/oleocanthal; D2i2, 2:1 oleacein/oleocanthal; DAFLA, Dialdehydic Form of Ligstroside Aglycone;. DAFOA, Dialdehydic Form of Oleuropein Aglycone; F-C, Folin-Ciocalteu assay; PV-AcA-Iso, peroxide value acetic acid-isooctane. a The internal standard normalized absorbance of the individual compound divided by the sum of normalized phenolics in all three oils (i.e. sum of % UV detected across all oils = 100). P value determined by two-tailed heteroscedastic Student’s t-test. P value determined by repeated measures ANOVA with Tukey’s post hoc HSD. Variance determined using the average of daily average platelet aggregation measures. Fig. 1. Effects of tested EVOOs on (A) maximum platelet aggregation and (B) oxylipins associated with platelet function in healthy male subjects. D2i2, D2i0.5 and Ibuprofen all decreased maximum platelet aggregation compared to D2i0, and Ibuprofen decreased oxylipin concentrations compared to all oils. Data shown are presented as means (n = 9) with their standard deviations. Data points with unlike letters were significantly different at P < 0.05 (repeated measures ANOVA). Abbreviations: AICc, Corrected Akaike information criterion score; BIC, Bayesian information criterion score. Abbreviations: D2i0, EVOO with undetectable oleocanthal and oleacein; D2i2, EVOO with 2:1 oleacein/oleocanthal; D2i0.5, EVOO with 1:2 oleacein/oleocanthal. a Calculated using repeated measures ANOVA with Tukey’s post hoc HSD. Fig. 2. Partial Least Squares Discriminant Analysis (PLS-DA) Scores Plots showing discrimination between ‘‘responders” and ‘‘non-responders” at (A) baseline and (B) twohours post-EVOO consumption. ‘‘Responders” are defined at subjects exhibiting > 25% reduction in 1 mg/mL collagen-stimulated DPmax with D2i0.5 or D2i2 EVOO intake. intake, as well as increased levels of the citric acid cycle metabolites malic acid, isocitric acid and citric acid. See Fig. A.2 for a partial list of identified metabolites, their metabolic relationships and their impact on the separation between ‘‘responders” and ‘‘nonresponders”. Gazzaniga, & Violi, 1998), it is more likely that the oil peroxide index is simply a marker of EVOO quality and that higher quality EVOOs exhibit greater health benefits. However, this claim would need further verification. Platelets are metabolically active, utilizing both anaerobic and oxidative phosphorylation for energy production, with the later predominant (Kramer, Ravi, Chacko, Johnson, & Darley-Usmar, 2014). While the current study did not access platelet specific metabolites, analysis of primary metabolism demonstrated that differences that subjects with different plasma metabolomics profiles had distinct platelet response to EVOO intake. Whether these effects were primarily due to dietary or metabolic factors is as of yet unknown. However, ‘‘responders” tended to have increased plasma glucose concentrations, along with increased levels of specific carbohydrates and sugar acids suggesting a diet rich in fruits and vegetables. Interestingly, the identification of pinitol as a significant discriminating variable of response regardless of time point suggests that responsive individuals had a higher habitual intake of soy products (Davis et al., 2000). In contrast, the ‘‘nonresponsive” participants had increased circulating non-esterified fatty acids. In addition, non-responders had greater fasting levels of oleic acid, the primary fatty acid found in olive oil. Since high plasma oleic acid is a reported marker of habitual olive oil consumption that correlates with stroke prevention (Samieri et al., 2011) and EVOO effects on platelet function persist with continuous exposure (Sánchez-Muniz et al., 1998), it is possible that the EVOO effects are saturable and the non-responders in this study were already protected. That being said, the significance of these findings cannot be determined from the current study design, but warrant further exploration. Platelet aggregation is regulated by a number of mediators, including COX-derived TXB2, platelet 12-LOX-derived 12-HETE, and 15-LOX-derived 15-HETE (Tourdot et al., 2013). While no changes in these, and other COX and LOX-derived mediators were observed in all subjects following EVOO consumption, ‘‘responders” did demonstrate a reduction in plasma TXB2, 11-HETE and 15-HETE concentrations following consumption of both D2i0.5 and D2i2, compared to D2i0. As each of these mediators can be derived from COX-1 metabolism of arachidonic acid (Caughey, Cleland, Penglis, Gamble, & James, 2001; Tejera, Boeglin, Suzuki, & Schneider, 2012), the anti-platelet effects of the oleocanthalcontaining EVOOs may in fact have a COX-1-dependent component. However, further experimentation would be needed to verify the specific mechanism by which oleocanthal affects platelet aggregation. As platelet activation promotes the inflammatory process associated with atherosclerotic cardiovascular disease, the in vivo antiinflammatory effects and mechanisms of oleocanthal and total phenolics should be explored in future studies. If true, both generally phenolic-rich oils and specifically oleocanthal-rich oils would be predicted to have positive impacts on both platelet aggregation and inflammation, and thus have benefits in cardiovascular risk reduction, as has been previously suggested in a 28-day intervention of post-menopausal women (Sánchez-Muniz et al., 1998). While the above associations are intriguing, care must be taken in their final interpretation as phenols and polyphenols are rapidly and extensively metabolized, with circulating metabolites detected in the plasma in significant levels within minutes and lasting for several hours post intake (Ottaviani et al., 2016; Zamora-Ros et al., 2016). Moreover, some studies evaluating dietary flavonoids on plasma flavanols and ex vivo platelet function have shown increases in plasma flavonoids with no effects on platelet function (Hubbard et al., 2003). Therefore, whether the effect observed here is the consequence of direct phenolic exposure or a chemical or metabolically responsive covariate of this exposure remains to be seen. for statistical support. The authors also thank Corto Olive Co. (Lodi CA) for donation of the D2i2 EVOO used in the study. Appendix A. Supplementary material Supplementary data associated with this article can be found, in the online version, at http://dx.doi.org/10.1016/j.jff.2017.06.046. References Agrawal, K., Hassoun, L. A., Foolad, N., Pedersen, T. L., Sivamani, R. K., & Newman, J. W. (2017). Sweat lipid mediator profiling: a non-invasive approach for cutaneous research. Journal of Lipid Research, 58, 188–195. AOAC International (2013). Peroxide value acetic acid-isooctane method (official methods and recommended practices of the AOCS, AOCS official method cd 8b–90). Urbana, IL: AOCS Press. Beauchamp, G. K., Keast, R. S., Morel, D., Lin, J., Pika, J., Han, Q., & Breslin, P. A. (2005). Phytochemistry: ibuprofen-like activity in extra-virgin olive oil. Nature, 437, 45–46. Bendini, A., Cerretani, L., Carrasco-Pancorbo, A., Gomez-Caravaca, A. M., SeguraCarretero, A., Fernandez-Gutierrez, A., & Lercker, G. (2007). Phenolic molecules in virgin olive oils: a survey of their sensory properties, health effects, antioxidant activity and analytical methods. An overview of the last decade. Molecules, 12, 1679–1719. Bogani, P., Galli, C., Villa, M., & Visioli, F. (2007). Postprandial anti-inflammatory and antioxidant effects of extra virgin olive oil. Atherosclerosis, 190(1), 181–186. http://dx.doi.org/10.1016/j.atherosclerosis.2006.01.011. Born, G. V. R., & Cross, M. J. (1963). The aggregation of blood platelets. Journal of Physiology, 168, 178–195. Box, G. E. P., & Cox, D. R. (1964). An analysis of transformations. Journal of the Royal Statistical Society Series B (Methodological), 26, 211–252. Buckland, G., & Gonzalez, C. A. (2015). The role of olive oil in disease prevention: a focus on the recent epidemiological evidence from cohort studies and dietary intervention trials. British Journal of Nutrition, 113, S94–101. Caporaso, N., Savarese, M., Paduano, A., Guidone, G., De Marco, E., & Sacchi, R. (2015). Nutritional quality assessment of extra virgin olive oil from the Italian retail market: Do natural antioxidants satisfy EFSA health claims? Journal of Food Composition and Analysis, 40, 154–162. Carnevale, R., Pignatelli, P., Nocella, C., Loffredo, L., Pastori, D., Vicario, T., & Violi, F. (2014). Extra virgin olive oil blunt post-prandial oxidative stress via NOX2 down-regulation. Atherosclerosis, 235, 649–658. Caughey, G. E., Cleland, L. G., Penglis, P. S., Gamble, J. R., & James, M. J. (2001). Roles of cyclooxygenase (COX)-1 and COX-2 in prostanoid production by human endothelial cells: selective up-regulation of prostacyclin synthesis by COX-2. The Journal of Immunology, 167, 2831–2838. Chatterjee, S., & Hadi, A. S. (2015). Variable selection procedures. In S. Chatterjee & A. S. Hadi (Eds. ), Regression analysis by example (5th ed., pp. 299–334). Hoboken: John Wiley & Sons. Covas, M.-I., Fito, M., & de la Torre, R. (2015). Minor bioactive olive oil components and health: Key data for their role in providing health benefits in humans. In D. Bosku (Ed. ), Olive and olive oil bioactive constituents (pp. 31–52). Urbana: AOCS Press. Daskalaki, D., Kefi, G., Kotsiou, K., & Tasioula-Margari, M. (2009). Evaluation of phenolic compounds degradation in virgin olive oil during storage and heating. Journal of Food and Nutrition Research, 48, 31–41. Davis, A., Christiansen, M., Horowitz, J. F., Klein, S., Hellerstein, M. K., & Ostlund, R. E. (2000). Effect of pinitol treatment on insulin action in subjects with insulin resistance. Diabetes Care, 23, 1000–1005. EFSA Panel on Dietetic Products, Nutrition and Allergies. (2011). Scientific opinion on the substantiation of health claims related to polyphenols in olive and protection of LDL particles from oxidative damage (ID 1333, 1638, 1639, 1696, 2865), maintenance of normal blood HDL-cholesterol concentrations (ID1639), maintenance of normal blood pressure (ID 3781), ‘‘anti-inflammatory properties” (ID 1882), ‘‘contributes to the upper respiratory tract health” (ID 3468), ‘‘can help to maintain a normal function of gastrointestinal tract” (3779), and ‘‘contributes to body defences against external agents” (ID 3467) pursuant to Article 13 (1) of Regulation (EC) No 1924/2006. EFSA Journal, 9, 2033. Estruch, R., Ros, E., Salas-Salvado, J., Covas, M. I., Corella, D., Aros, F., ... MartinezGonzalez, M. A. (2013). Primary prevention of cardiovascular disease with a Mediterranean diet. New England Journal of Medicine, 368, 1279–1290. Fahrmann, J., Grapov, D., Yang, J., Hammock, B., Fiehn, O., Bell, G. I., & Hara, M. (2015). Systemic alterations in the metabolome of diabetic NOD mice delineate increased oxidative stress accompanied by reduced inflammation and hypertriglyceremia. American Journal of Physiology - Endocrinology and Metabolism, 308, E978–E989. Fiehn, O., Wohlgemuth, G., & Scholz, M. (2005). Setup and annotation of metabolomic experiments by integrating biological and mass spectrometric metadata. In B. Ludäscher & L. Raschid (Eds. ), Data integration in the life sciences: Second international workshop (pp. 224–239). Berlin, Heidelberg: Springer, Berlin Heidelberg. Fitzgerald, D. J., & Fitzgerald, G. A. (2013). Historical lessons in translational medicine: cyclooxygenase inhibition and P2Y12 antagonism. Circulation Research, 112, 174–194. K. Agrawal et al. / Journal of Functional Foods 36 (2017) 84–93 Garcia, B., Coelho, J., Costa, M., Pinto, J., & Paiva-Martins, F. (2013). A simple method for the determination of bioactive antioxidants in virgin olive oils. Journal of the Science of Food and Agriculture, 93, 1727–1732. Grapov, D., & Newman, J. W. (2012). ImDEV: a graphical user interface to R multivariate analysis tools in Microsoft Excel. Bioinformatics, 28, 2288–2290. Grubbs, F. E. (1950). Sample criteria for testing outlying observations. The Annals of Mathematical Statistics, 21, 27–58. Gutierrez-Rosales, F., Rios, J. J., & Gomez-Rey, M. L. (2003). Main polyphenols in the bitter taste of virgin olive oil. Structural confirmation by on-line highperformance liquid chromatography electrospray ionization mass spectrometry. Journal of Agricultural and Food Chemistry, 51, 6021–6025. Holt, R. R., Heiss, C., Kelm, M., & Keen, C. L. (2012). The potential of flavanol and procyanidin intake to influence age-related vascular disease. Journal of Nutrition in Gerontology and Geriatrics, 31, 290–323. Hubbard, G. P., Wolffram, S., Lovegrove, J. A., & Gibbins, J. M. (2003). The role of polyphenolic compounds in the diet as inhibitors of platelet function. Proceedings of the Nutrition Society, 62, 469–478. Hubbard, G. P., Wolffram, S., Lovegrove, J. A., & Gibbins, J. M. (2004). Ingestion of quercetin inhibits platelet aggregation and essential components of the collagen-stimulated platelet activation pathway in humans. Journal of Thrombosis and Haemostasis, 2, 2138–2145. International Olive Oil Council. (2001). Preparation of The fatty acid methyl esters from olive oil and olive-pomace oil (international olive council testing methods, COI/T.20/Doc. No. 24). Madrid: IOOC. Karkoula, E., Skantzari, A., Melliou, E., & Magiatis, P. (2012). Direct measurement of oleocanthal and oleacein levels in olive oil by quantitative (1)H NMR. Establishment of a new index for the characterization of extra virgin olive oils. Journal of Agricultural and Food Chemistry, 60, 11696–11703. Karkoula, E., Skantzari, A., Melliou, E., & Magiatis, P. (2014). Quantitative measurement of major secoiridoid derivatives in olive oil using qNMR. Proof of the artificial formation of aldehydic oleuropein and ligstroside aglycon isomers. 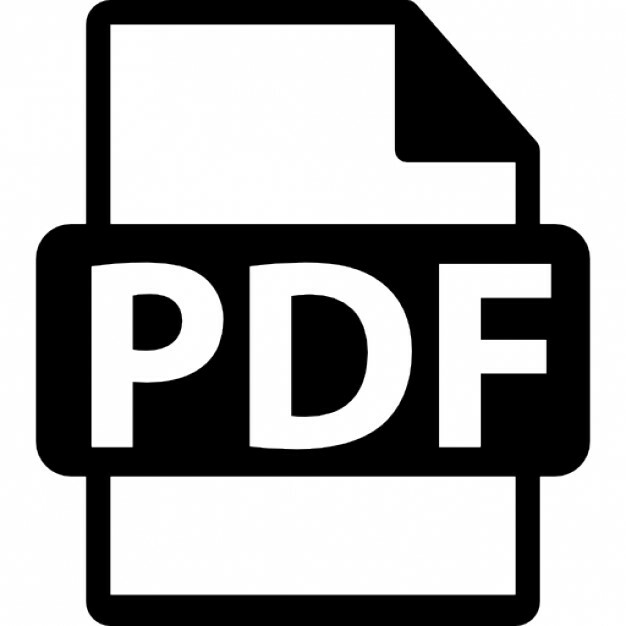 Journal of Agricultural and Food Chemistry, 62, 600–607. Kramer, P. A., Ravi, S., Chacko, B., Johnson, M. S., & Darley-Usmar, V. M. (2014). A review of the mitochondrial and glycolytic metabolism in human platelets and leukocytes: Implications for their use as bioenergetic biomarkers. Redox Biology, 2, 206–210. Krishnan, S., Newman, J. W., Hembrooke, T. A., & Keim, N. L. (2012). Variation in metabolic responses to meal challenges differing in glycemic index in healthy women: Is it meaningful? Nutrition & Metabolism, 9, 26. La Frano, M. R., Fahrmann, J. F., Grapov, D., Fiehn, O., Pedersen, T. L., Newman, J. W., ... Wedgwood, S. (2017). Metabolic perturbations of postnatal growth restriction and hyperoxia-induced pulmonary hypertension in a bronchopulmonary dysplasia model. Metabolomics, 13, 32. Li, Z., Delaney, M. K., O’Brien, K. A., & Du, X. (2010). Signaling during platelet adhesion and activation. Arteriosclerosis, Thrombosis, and Vascular Biology, 30, 2341–2349. May, A. E., Seizer, P., & Gawaz, M. (2008). Platelets: inflammatory firebugs of vascular walls. Arteriosclerosis, Thrombosis, and Vascular Biology, 28, S5–S10. Miller, C. H., Rice, A. S., Garrett, K., & Stein, S. F. (2014). Gender, race and diet affect platelet function tests in normal subjects, contributing to a high rate of abnormal results. British Journal of Haematology, 165, 842–853. Mozaffarian, D. (2016). Dietary and policy priorities for cardiovascular disease, diabetes, and obesity: A comprehensive review. Circulation, 133, 187–225. Nording, H. M., Seizer, P., & Langer, H. F. (2015). Platelets in inflammation and atherogenesis. Frontiers in Immunology, 6, 98. O’Donnell, V. B., Murphy, R. C., & Watson, S. P. (2014). Platelet lipidomics. Modern day perspective on lipid discovery and characterization in platelets. Circulation Research, 114, 1185–1203. Ottaviani, J. I., Borges, G., Momma, T. Y., Spencer, J. P., Keen, C. L., Crozier, A., & Schroeter, H. (2016). The metabolome of [2- (14)C] (-)-epicatechin in humans: implications for the assessment of efficacy, safety, and mechanisms of action of polyphenolic bioactives. Scientific Reports, 6, 29034. Patrono, C., & Baigent, C. (2014). Nonsteroidal anti-inflammatory drugs and the heart. Circulation, 129, 907–916. Petroni, A., Blasevich, M., Salami, M., Papini, N., Montedoro, G. F., & Galli, C. (1995). Inhibition of platelet aggregation and eicosanoid production by phenolic components of olive oil. Thrombosis Research, 78, 151–160. Pignatelli, P., Pulcinelli, F. M., Lenti, L., Gazzaniga, P. P., & Violi, F. (1998). Hydrogen peroxide is involved in collagen-induced platelet activation. Blood, 91, 484–490. Priora, R., Summa, D., Frosali, S., Margaritis, A., Di Giuseppe, D., Lapucci, C., & Di Simplicio, P. (2008). Administration of minor polar compound-enriched extra virgin olive oil decreases platelet aggregation and the plasma concentration of reduced homocysteine in rats. Journal of Nutrition, 138, 36–41. Rocca, B., & Patrono, C. (2005). Determinants of the interindividual variability in response to antiplatelet drugs. Journal of Thrombosis and Haemostasis, 3, 1597–1602. Rondina, M. T., Weyrich, A. S., & Zimmerman, G. A. (2013). Platelets as cellular effectors of inflammation in vascular diseases. Circulation Research, 112, 1506–1519. Samieri, C., Féart, C., Proust-Lima, C., Peuchant, E., Tzourio, C., Stapf, C., & BarbergerGateau, P. (2011). Olive oil consumption, plasma oleic acid, and stroke incidence: The Three-City Study. Neurology, 77, 418–425. Sánchez-Muniz, F. J., Oubiña, P., Benedí, J., Ródenas, S., & Cuesta, C. (1998). A preliminary study on platelet aggregation in postmenopausal women consuming extra-virgin olive oil and high-oleic acid sunflower oil. Journal of the American Oil Chemists’ Society, 75, 217–233. Scholz, M., & Fiehn, O. (2007). SetupX–a public study design database for metabolomic projects. Pacific Symposium on Biocomputing, 12, 169–180. Servili, M., Esposto, S., Taticchi, A., Urbani, S., Di Maio, I., Sordini, B., & Selvaggini, R. (2014). Effect of diverse agricultural and technological factors on olive oil quality and yield. Acta Horticulturae. 10.17660/ActaHortic.2014.1057.77. Smith, A. B., Han, Q., Breslin, P. A. S., & Beauchamp, G. K. (2005). Synthesis and assignment of absolute configuration of ( )-oleocanthal: a potent, naturally occurring non-steroidal anti-inflammatory and anti-oxidant agent derived from extra virgin olive oils. Organic Letters, 7, 5075–5078. Tejera, N., Boeglin, W. E., Suzuki, T., & Schneider, C. (2012). COX-2-dependent and independent biosynthesis of dihydroxy-arachidonic acids in activated human leukocytes. Journal of Lipid Research, 53, 87–94. Tourdot, B. E., Ahmed, I., & Holinstat, M. (2013). The emerging role of oxylipins in thrombosis and diabetes. Frontiers in Pharmacology, 4, 176. van den Berg, R. A., Hoefsloot, H. C., Westerhuis, J. A., Smilde, A. K., & van der Werf, M. J. (2006). Centering, scaling, and transformations: improving the biological information content of metabolomics data. BMC Genomics, 7, 142. Vougogiannopoulou, K., Lemus, C., Halabalaki, M., Pergola, C., Werz, O., Smith, A. B., & Deguin, B. (2014). One-step semisynthesis of oleacein and the determination as a 5-lipoxygenase inhibitor. Journal of Natural Products, 77, 441–445. Wang, C., & Wang, W. (2006). Links between PPCA and subspace methods for complete Gaussian density estimation. IEEE Transactions on Neural Networks, 17, 789–792. Ward, E. J. (2008). A review and comparison of four commonly used Bayesian and maximum likelihood model selection tools. Ecological Modelling, 211, 1–10. Yousuf, O., & Bhatt, D. L. (2011). The evolution of antiplatelet therapy in cardiovascular disease. Nature Reviews Cardiology, 8, 547–559. Zamora-Ros, R., Achaintre, D., Rothwell, J. A., Rinaldi, S., Assi, N., Ferrari, P., & Scalbert, A. (2016). Urinary excretions of 34 dietary polyphenols and their associations with lifestyle factors in the EPIC cohort study. Scientific Reports, 6, 26905. Report "Oleocanthal-rich extra virgin olive oil demonstrates acute anti-platelet effects in healthy men in a randomized trial"